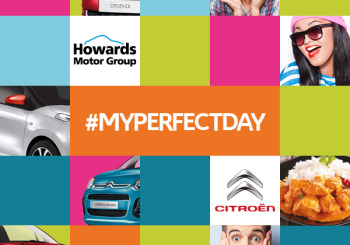 To enter, simply like our Facebook page and post a photo of one from one of your best days in the comments section of this post using #myperfectday! You have until Monday 29th of February to enter and the winners will be announced at 12pm that day! Good luck! - Only one entry per couple is allowed. - Any images entered into the competition must be your own. - Ensure those pictured in the photos have given you permission to use the photo. - Any indecent or inappropriate images will be deleted and won’t count towards the competition. - Entrants must be 18 or over. - One winner will be selected at random from all the entries. - All entries must be posted with the #myperfectday. - The winner is to be announced on Monday 29th February at 12pm, entries after this will not count. Fancy holding the keys to a Citroen for a whole 24 hours? Well you can! During February Howards Motor Group are offering people in the local area to test drive any Citroen of their choice for 24 hours. Contact our dealerships in Weston-super-Mare or Taunton for more information and book your ‘Perfect Day’ today!